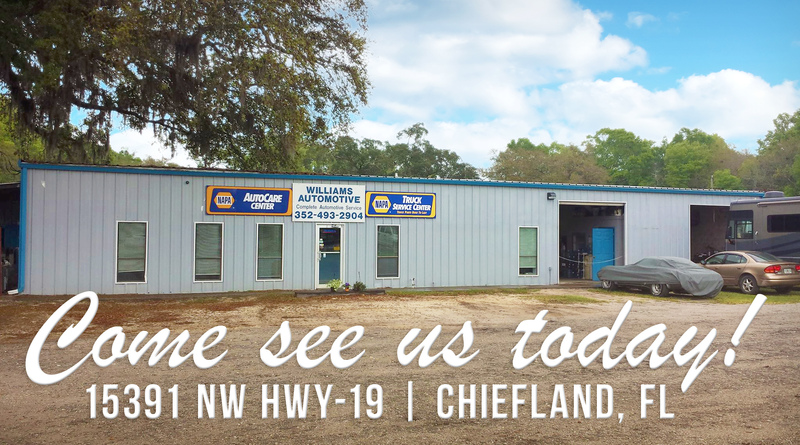 For all of your automotive needs, depend on Williams Automotive & Performance in Chiefland, FL to keep you on the road. ASE CERTIFIED TECHNICIANS Know the advantages of trusting only ASE Certified automotive technicians. NAPA AUTOCARE CENTER NAPA AutoCare Certified Center with a 24 Months | 24,000 Nationwide Warranty. CALL (352) 493-2904 or CLICK HERE ONLINE to schedule your appointment. CLICK HERE or give us a call to schedule an appointment!